Oysters are the symbolic flavor of Yukuhashi in the winter. The Minoshima area is located on the eastern side of Yukuhashi City, and the oysters produced here are large, juicy, and brimming with the savory aromas of the rocky shore. 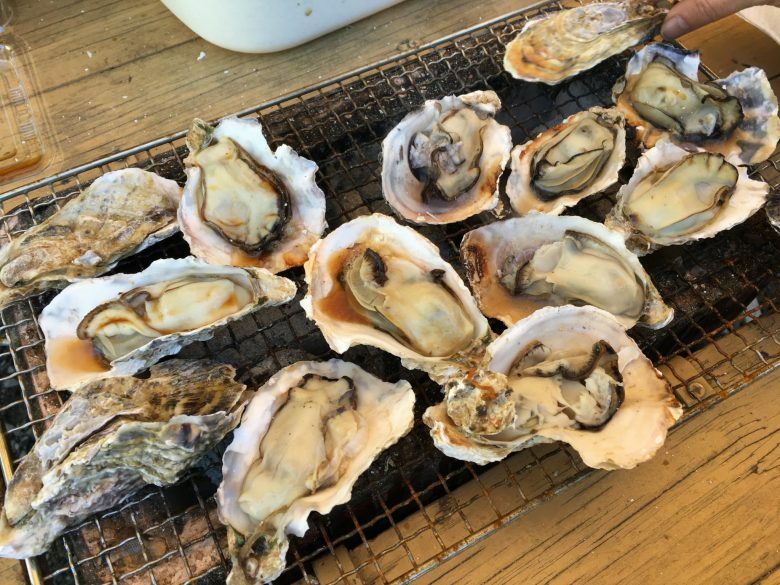 Visitors can enjoy cooking and eating freshly harvested oysters on the spot in the Minoshima area. The oyster season is from around the end of November until March.